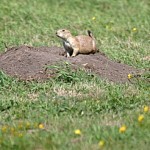 LHabitat includes 471 acres of wetland and 421 acres of upland. 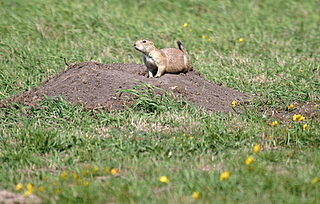 A small black-tailed prairie dog colony exists on the higher ground near the south-east end of the WPA and is consistently used by burrowing owls. Historically known for its waterfowl concentrations. Dry years, land-leveling, irrigation reuse pits and invasive vegetation have reduced its attractiveness. Extensive work was done on this site in 2002 including rebuilding a dike going through the wetland so at least half of the wetland would have water during pumping, and filling of two small pits on the eastern section which were allowing water to seep out of this wetland rapidly. Fall use by ducks, especially blue-winged teal and pintails, was tremendous in 2002. Whooping cranes have been observed here in April and it is a great place for waders and shorebirds in late spring and late summer. Best viewing from the south parking area and may require some walking to get a good view of the birds.